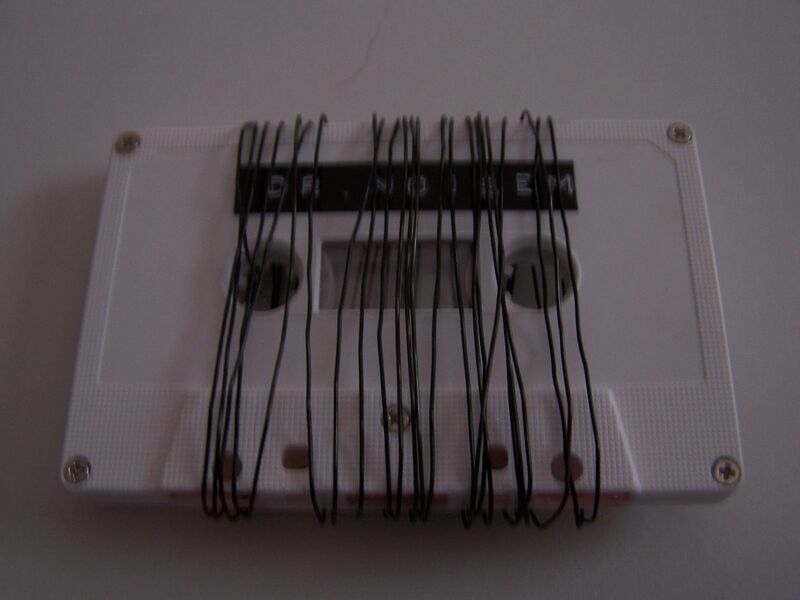 Along with the two Sascha Muller cassettes I received three of these Dr. NoiseM split cassettes as well as a Dr. NoiseM CD, so I can only conclude that Sascha Muller is in fact Dr. NoiseM but let the speculation continue. 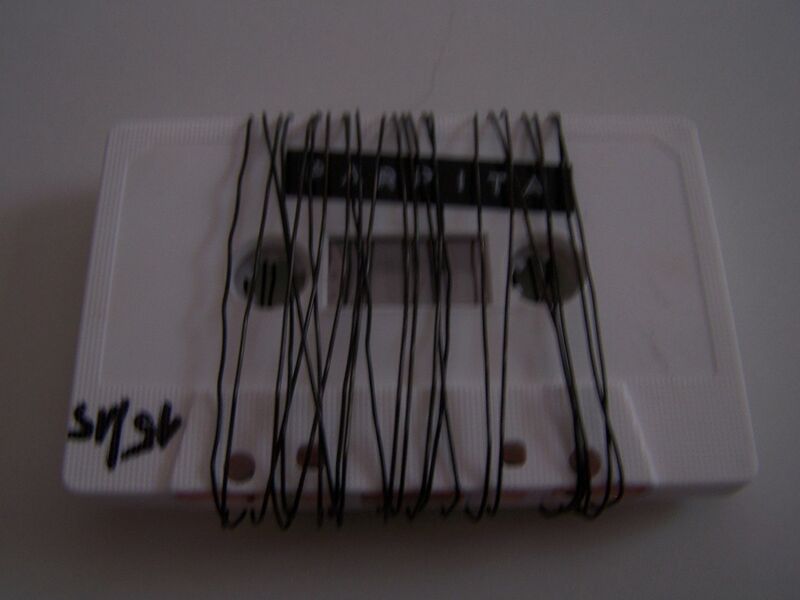 The interesting thing about these cassettes being wrapped in wire is that they were somewhat annoying to unravel, but so is life. All three of these cassettes are fairly short, but probably five minutes per side at most, and so they’re kind of like little split cassingles. Parpita starts us off here and it is the sound of a fax modem phone call. This turns into static blasts and it’s just overall noisy and short. The Dr. NoiseM side is noisy beat loops that have that 8bit carnival feel to them. It’s somewhat like lasers and blips fighting, yet somehow more electronic than I remember the original Sascha Muller music being but still enjoyable nonetheless. Originally I thought about reviewing these three split cassettes as one big review, but I’m feeling now like I can give them each their own.